The 2017 season begins April 23rd (4th Sunday because of Easter) with our season opener, and one of our biggest shows of the year. May through October, 3rd Sunday so the dates are May 21, June 18, July 16, August 20, September 17 and October 15. Chicago's only ALL VINTAGE market. Don't miss our new Chicago Vintage Clothing and Jewelry Show February 24/25 and our mini Garage with CHIRP Radio April 8th! El stop: Red to Argyle. So many vendors , lots of great vintage.stuff, so glad I went. 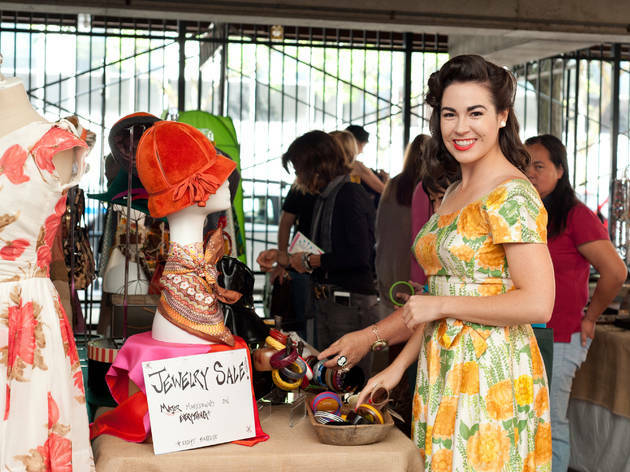 The cities only all vintage market happens each month Uptown! 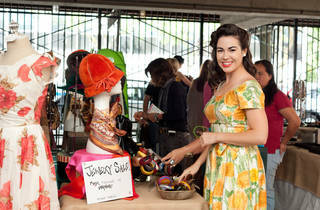 Monthly vintage market right in our own backyard! 50+ vendors April thru October, 3rd Sunday of every month. Great way to spend the afternoon in the neighborhood, surrounded by wonderful Asian food. Great vintage selection and fantastic deals! Vintage Garage Chicago is a great monthly vintage market! Lots of variety and terrific vendors & customers! A must-see the 3rd Sunday of each month April-October! Great place to find that piece you're looking for and lots of things you never knew you needed.